The Plume Air Report for iPhone is now live in Paris! The whole Plume Labs team is thrilled to introduce the Plume Air Report, the free air quality forecast app for iPhone! The Plume Air Report helps Parisians track in real-time average air pollution levels in their city, and avoid over-exposure to pollution thanks to personalized recommendations. Plume Labs designed an intuitive language (based on World Health Organization’s guidelines) and a simple interface so that everyone can understand the complex problem of pollution. The Plume Air Report leverages Plume’s environmental AI & data platform, the Plume Air Cloud. This unique database collects dozens of thousands of air quality data points every day from 6 300+ monitoring stations around the world. Machine-learning algorithms tap into massive data sets to produce 24h forecasts of hourly air pollution level. A few weeks after an extreme air pollution episode in Paris, and ahead of the COP21 climate summit in December, Plume Labs shows with this pilot launch how its technologies can help people take back control of their environment. 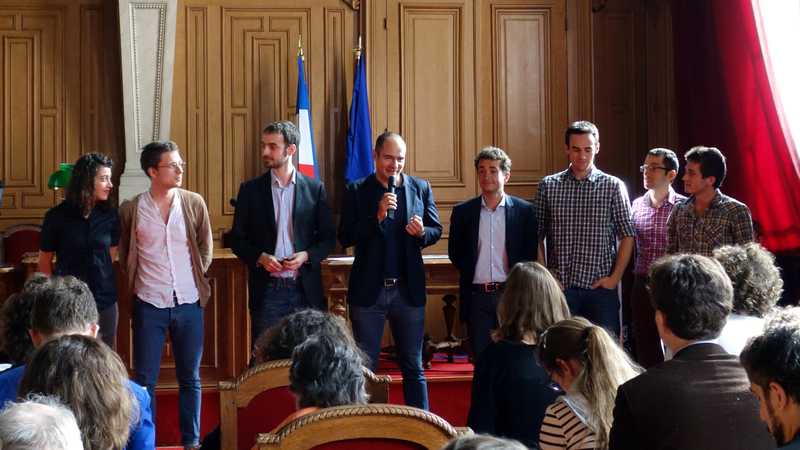 The launch of the Plume Air Report at Paris City Hall was followed by a conference on the theme “Urban Tech vs Pollution”. Leading digital experts shared insight on how technology can help us breathe cleaner air, including Gilles Babinet, France’s Digital Champion at the European Commission, and Prof. Carlos Moreno, expert in smart cities. 10 startups presented their innovative solutions for better cities: car-sharing (karos), bioluminescent lighting (glowee), connected electric bikes (freemos), etc. Stay ahead of pollution: follow us on Twitter, Facebook … and now on your iPhone.